Barry Allen worked with several superpowered allies during The Flash Season 1, and there will be a new hero showing up in Central City for Season 2. It was reported last week that this new ally being called “John,” which is obviously a pseudonym, and he's described as a handsome man in his 30s or early 40s who is slightly cynical “with an edge.” We originally speculated this could be Jay Garrick, but that might not be the case anymore. Comicbook.com found two audition videos featuring an actor auditioning for the John role. In the first video, the character sounds like he is being tested at S.T.A.R. Labs and talks about how unusual and difficult to control his powers are. In the second video, he’s talking to Barry, whom he refers to as “kid,” after a showdown with a metahuman. Both of them are critiquing each other on how they handled the situation, with John thinking he can do a better job dealing with the bad guys. 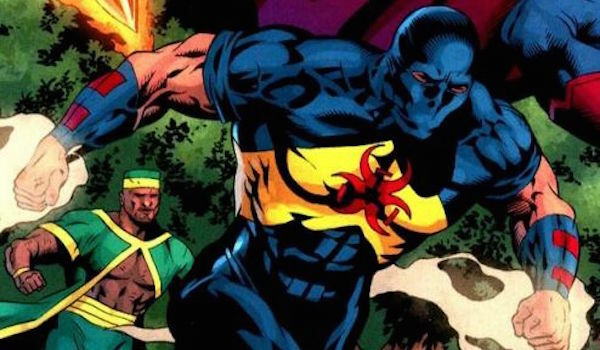 Although these hints are vague, here are the folks we suspect might be filling this hero role for The Flash’s next season. Manipulating nearly all forms of energy would fall under the category of “hard to control,” wouldn’t it? What’s even better is that like Central City’s metahumans, Nathaniel Adams became Captain Atom through a freak science experiment involving detonation of a powerful energy source, so he's practically begging to be adapted on The Flash. Nathaniel’s military history not only fits the “tough with an edge” description, but would also explain why he believes he has a better grasp on how to handle metahumans than Barry. 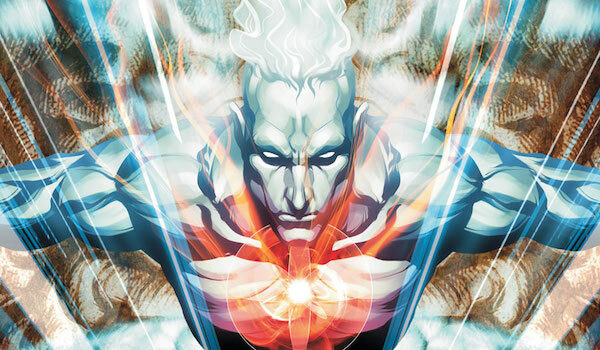 The show will need to make sure the non-comic book fans don’t get Captain Atom mixed up with The Atom (name-wise, not powers), but that should be easy enough. It would be also be interesting if as time passed, Nathaniel found his physical appearance slowly changing, eventually culminating in his silver-skinned form from the comics. Whether they were called Commander Steel or Citizen Steel, all of the Heywood men (Henry, Hank and Nathan) who have held the identity of been quite powerful. 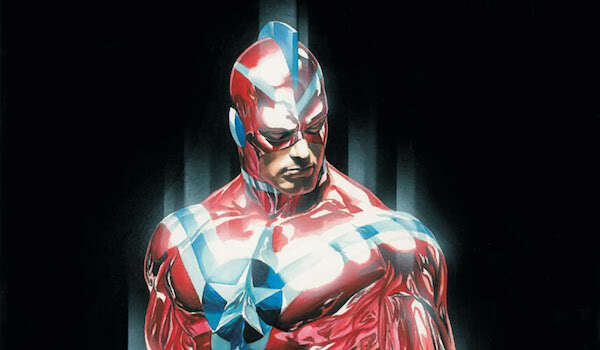 Their most common abilities are super strength and superhuman speed, though Citizen Steel also had organic metal skin. Aside from Girder, we haven’t seen any metahumans who have displayed enhanced strength and durability, so this would make a unique addition to Barry’s group of allies. The powers may not be “hard to understand” exactly, but they would certainly take some getting used to. If they also keep *fill in the rank* Steel’s actual military background like Captain Atom, this would also explain why he believes he can do a better job of dealing with superpowered criminals than Team Flash. In terms of unusual powers, Metamorpho ranks high on the list. After his transformation, Rex Mason discovered he could turn his body into various elemental compounds, whether they’re solids, liquids or gases. Arrow Season 2 featured trucks with a “Metamorpho” logo on the side, but perhaps it’s time to introduce the character in live-action. If Rex is having trouble controlling his body turning into different elements, it would make sense that he turns to the S.T.A.R. Labs team for help. 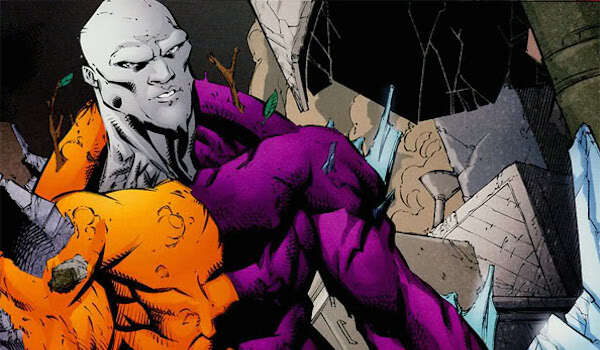 One snag is that in the comics, industrialist Simon Stagg played a key role in Metamorpho’s origin, but The Flash’s Stagg was killed in Episode 2. This could be worked around by either having someone else be responsible for Rex Mason’s incident or just having it take place before the post-particle accelerator explosion, pre-Barry waking up. In the episode “Power Outage,” Harrison Wells listed off some of the people who died from the particle accelerator explosion. One of the casualties was Grant Albert Emerson, who is known in the comics as Damage. He is able to emit a power charge that gives him super strength, durability, reflexes and speed, and he is also capable of expelling this charge as a simple energy blast. Ronnie Raymond surviving the explosion has shown us that not everyone may have necessarily “died” from it. His body’s power charge would also be difficult to manage if Grant is inadvertently augmenting his physical capabilities. As time goes on, he gets better control and starts fighting crime, leading to a cocky attitude and his condescending attitude towards Barry. Like Damage, Ralph Dibny was a casualty of the particle accelerator, but again, this might be another case of someone actually surviving. 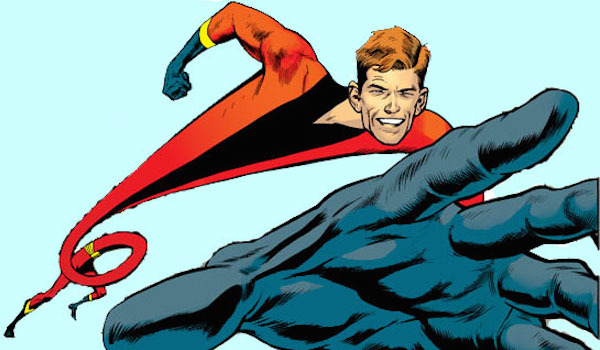 As the identity suggests, Elongated Man is capable of stretching his his body to enormous lengths. We haven’t seen a DC character do this in live-action yet, and with Fantastic Four coming in August, maybe DC wants to have their own stretchy guy to show off. Ralph’s personality doesn’t match “John’s”, but in terms of fighting villains, Ralph was a detective in the comics, so with these new powers, he may start out believing he can deal with these metahuman situations better before later taking a more open-minded view. Best of all, Elongated Man was one of Barry’s frequent superhero allies in the Silver Age of Comics, so it would be fun to see the two of them working together on the show.